The Blue Mansion has been perfectly poised for over a century on firm foundations of architectural, cultural and historic superlatives. A Cheong Fatt Tze Legacy, the Mansion was built in the 1880s. 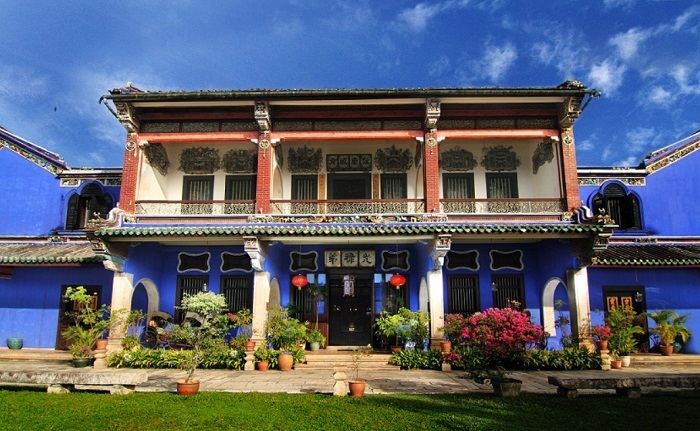 The magnificent 38-room, 220-window Cheong Fatt Tze Mansion was commissioned by Cheong Fatt Tze, a local merchant trader who left China as a penniless teenager and ended up as ‘the Rockefeller of the East’. The mansion blends Eastern and Western designs, with louvred windows, art nouveau stained glass and beautiful floor tiles, and is a rare surviving example of the eclectic architectural style preferred by wealthy Straits Chinese of the time. The house sits on the ‘dragon’s throne’, meaning that there is a mountain (Penang Hill) behind and water (the channel) in front – the site was chosen for its excellent feng shui. Magnificent? Experience a life of a tycoon today by lofting in The Blue Mansion.